Within activities for preparation of the new Anti-Corruption Strategy of Republika Srpska for the period 2018 – 2022, the first workshops were held aimed at defining current situation and problems regarding corruption in specific sectors. During eight conducted workshops, situation in police, judiciary, administration and local self-government, non-government sector, public finances, business sector, public services and work in area of property and legal issues was analyzed. Initial elements of the SWOT analysis were defined aimed at identifying key areas for the next four-year period. Also, the first version of vision, mission and strategic issues – focuses were discussed. 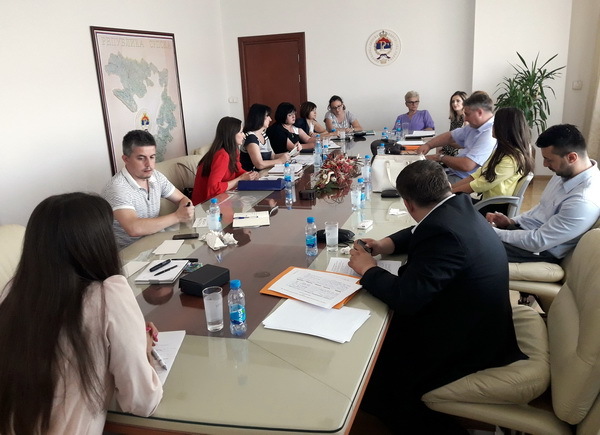 Eda provides support to the Ministry of Justice of Republika Srpska in preparing the new Anti-Corruption Strategy aimed at creating a comprehensive framework for effective implementation of policies, programs and measures in the fight against corruption and strengthening citizens’ confidence in the rule of law.